Artificial Reefs of the Keys was formed to conceive, design and finance the Vandenberg project. ARK is Subcontracting to Reefmakers Inc., who in turn are responsible for soliciting bids and awarding contracts to entities responsible for various technical aspects of the project. 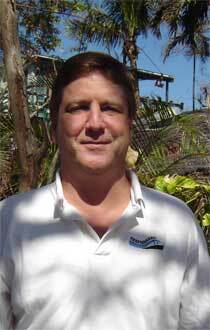 Chris is a captain, scuba instructor and charter operator. A long time keys resident, he has been involved in the Vandenberg project for several years and joined the board in 2003. Sheri Lohr, Treasurer, Secretary. 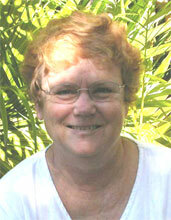 Sheri has been associated with the Vandenberg project since 1998. Former Dive shop owner, captain, and scuba instructor, Sheri is involved with many civic organizations and is committed to the value of the Vandenberg for environmental, educational and economic goals for Key West. She is the project historian, and hopes to create a permanent museum display to preserve the history of the ship, her crew and passengers. 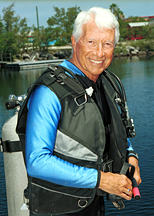 Bob recently retired as Director of the Diving Business Management program at Florida Keys Community College. FKCC has been a supporter and participant in the project from earliest days. Bob brings his academic and organizational expertise to the project, as well as his extensive network of contacts in the field. He is a coordinator of our safety clearance dive team who will survey the artificial reef immediately after deployment. Maura Dey Communication Director, for e-mail response and communicatons coordination with the general public and stakeholders in the project. All the many locals who helped out dockside and at events while the ship was undergoing final preparations in Key West. Reefmakers is the team co-ordinating and contracting all planning, technical and permitting aspects of the Vandenberg project. They have assembled experienced experts in all the various areas necessary to successfully complete this complex effort. Our particular gratitude goes to Ms. Chris Adryan for her work as liason between Reefmakers and ARK. From early youth Joe had been involved with a marina that his father owned on the seacoast in New Jersey. He gave sailing lessons, went fishing, conducted repairs of vessels and was involved in the management of the business. After college he was part owner of Looker Diving in Key West. Looker offered the very cutting edge of SCUBA diving including wreck diving, reef diving, deep diving, and spear fishing. He designed and executed marketing strategies, new diving experiences, and teaching criterion for his customers and employees. He also worked with the Northrop Corporation in an effort to sink a confiscated vessel as artificial reef off Key West. He began work on the ARK project in 1998, incorporating in 1999 after selection of the Vandenberg as the best choice for the location. He has a 100-ton U.S. Coast Guard Master's license with an auxiliary sail and towing endorsements. He is a PADI SCUBA diving instructor, certified gas blender, medic/first aid CPR instructor, and DAN oxygen provider instructor. He is very experienced with local diving geography, conditions, and has enlisted the active support of all of the local experts to ensure the successful completion of the ARK project. He has a longstanding relationship with RCC, and is now employed with ARK's primary contractor, Reefmakers, to implement the final phases of the project. Jeffrey C., Dey is CEO of Reefmakers and President and CEO of Resource Control Corp. (RCC). Jeff has been interested in geologic and environmental science, since beginning his studies at the University of Delaware. After graduation with a BS in Geology, Jeff joined Groundwater Technology, Inc. and worked his way up the ranks to Territory Manager. 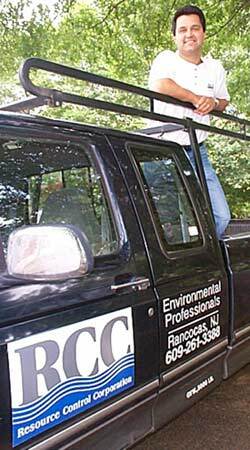 Jeff founded RCC in 1992. Jeff first became interested in assisting Joe Weatherby with an artificial reef project, after learning of the purgatory these large vessels were encountering at the end of their glorious lives due to environmental concerns. Clearly a standard system of processes could be developed to effectively eliminate environmental threat from these vessels to allow their use in various ways that would not harm the world’s waters. Stevens Institute of Technology is committed to providing superior education in Engineering with a focus on Ocean Engineering. RCC specializes in solving environmental problems, and is addressing the issue of making the Vandenberg innocuous to its surrounding waters. As Project Manager, RCC will be planning and coordinating the cleaning, towing and scuttling of the Vandenberg. • Solutions For Progress, Inc.